If you’re working in a recruiting role today, chances are you’ve come up against any number of different challenges when it comes to finding the right candidates to fill your open roles. Your sourcing strategy is just fine, but what you really need is for your hiring manager to get some realistic expectations about the pool of qualified talent on the market. The secret sauce in a successful recruitment strategy won’t be found by putting your head down and doing what you’ve always done. It’s about coming to the table with something new. It’s about being a true talent advisor. 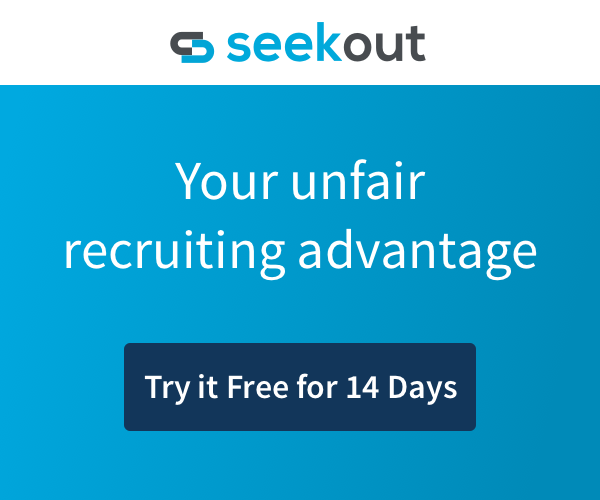 SeekOut’s People Insights helps you add serious value to your company’s talent acquisition strategy with high-quality data you won’t find anywhere else. People Insights helps you build immediate credibility as a strategic talent advisor. Let’s be honest: there are a lot of differences between a talent advisor and a run-of-the-mill recruiter. But perhaps the biggest difference comes from a talent advisor’s ability to use data to influence an entire company’s talent acquisition strategy. For example, let’s say a hiring manager comes to you with an open job for a mid-level software engineer based in Boston, MA. Easy enough, right? The hiring manager has an engineer from Apple on his team that’s killing it right now and specifically wants someone with previous experience at that company. So, you run a search in SeekOut for software engineers in Boston with 5-10 years experience that work (or previously worked at) Apple. And what do you get? A whopping three candidates found. Yikes. Clearly, Apple doesn’t have a big presence in Boston. But, as you’d probably guess, here’s where a normal recruiter might contact the three candidates (using email addresses sourced through SeekOut) and then wait to see what happens. But a strategic talent advisor can leverage data from People Insights to expand the talent pool and positively impact the search. A talent advisor using People Insights could run a search for Apple software engineers nationwide to find candidates in Boston with similar skills and experience to an Apple engineer. Apple likes engineering talent that graduated from Carnegie Mellon University. A strategic talent advisor would take this information to the hiring manager as a data-driven reason to expand the search outside of just Apple engineers in Boston to any software engineer in Boston that graduated from Carnegie Mellon University. By doing so, you expand your talent pool from 3 candidates to 93 candidates (including 10 engineers from Google and 7 from Amazon). That likely means a better turnaround on your candidate responses and a positive impact on future engineering hires for your entire company. And that’s just the tip of the iceberg for what People Insights can do for you. Which is exactly why you’re going to love starting your search with a better understanding of your candidate talent pool through People Insights. Let’s say you’re a recruiter working on product management roles at Google. People Insights can help you analyze the backgrounds of current Google product managers to inform your search criteria and ground your search in hard data. After plugging the title and company into the People Insights search, you’ll quickly find that Microsoft is the biggest external source of Google hires for product managers. By clicking on the Microsoft section of the graph, you can now see insights into the educational backgrounds and job titles of these former Microsoft product managers hired by Google. So, what we’ve gathered so far is that Google likes to hire product managers from Microsoft that graduated from Stanford University. When looking at the Skills section of People Insights, there’s a common trend of product managers with a background in software development and engineering. A search for current Microsoft product managers who graduated from Stanford University. A search for current product managers working anywhere that have skills related to software development and engineering. Better searches with People Insights mean a more focused talent pool. That leads to better conversion rates and faster times-to-hire. People Insights gives you a leg up on the competition by helping you understand where competitors go to hire talent. And that includes finding and attracting diverse talent, too. SeekOut’s diversity filters can help you identify candidates by gender and race, as well as US military veterans. When used in combination with People Insights, these filters help you figure out the companies your competitors target for diversity hires. But, the tool isn’t just helpful on the offensive; it can also help you play a little defense, too. As a talent advisor, you can leverage People Insights to inform your leadership about the companies that successfully steal your current employees. Let’s say you’re a talent advisor working for Amazon and you want to know the tech companies that are poaching your engineering talent in the Bay area. Bringing that information to the attention of your leadership team could help shape the way your company incentivizes and works to retain their employees. People Insights is live and available along with all the rest SeekOut has to offer in our 14-day free trial. No credit cards, no obligation. Access insights and email addresses for over 100 million professionals in the U.S.